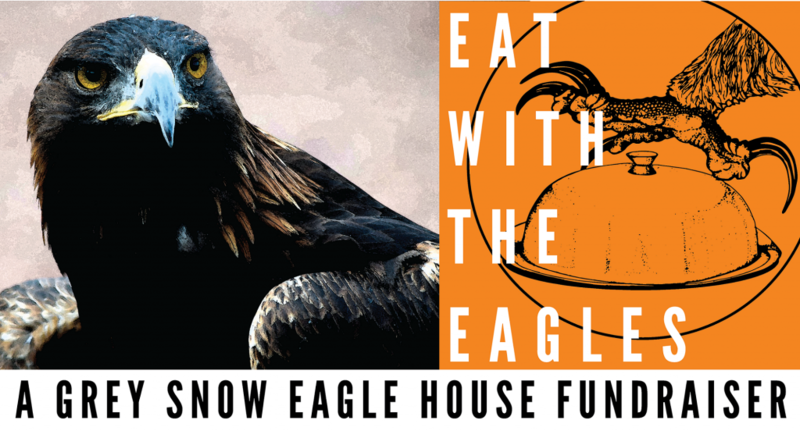 The Grey Snow Eagle House is hosting its annual Eat with the Eagles Fundraiser! During this event, you will not only be able to meet our eagles and other bird-of-prey ambassadors, but you will also get to eat like an eagle with our specially selected buffet items like fish, buffalo, and rabbit. Not a carnivorous bird-of-prey? No worries! We will have some vegetarian items on the buffet as well. 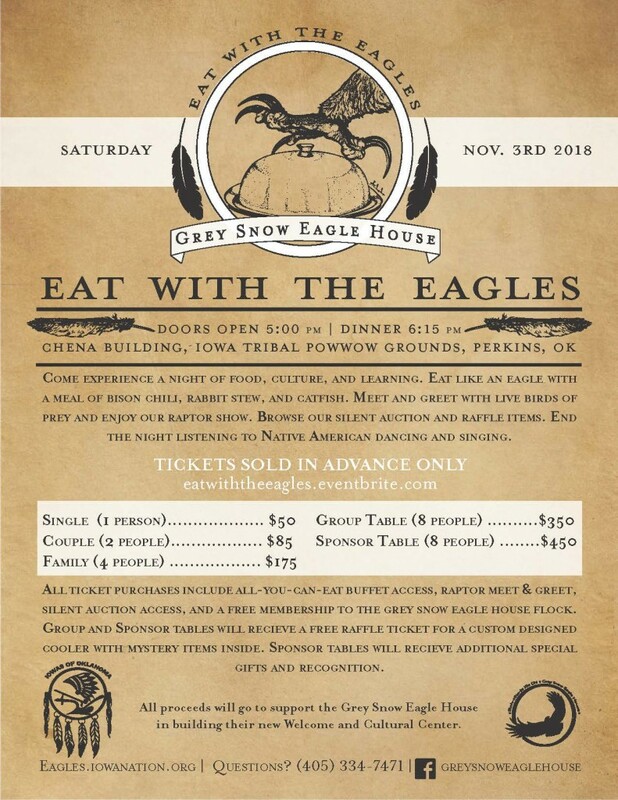 Entertainment for the night will be provided by local Native American dancers and drummers. Finally, a silent auction and raffle will help raise funds to help fund our new Welcome and Education Center. For more information, follow our Facebook Event. Ticket sales will end October 20th at 5:00PM. If you have any questions, please contact Megan Judkins, mjudkins@iowanation.org or 405-334-7471.